While a mother has had the opportunity to bond with her baby during pregnancy and through childbirth, it’s normal for dad to feel a little disconnected. Women who have given birth are literally flowing with hormones that emotionally connect them with their children, while it harder to dad to bond with baby. It’s also common for women, despite the internal chemistry, to feel a little lost in their new identity. 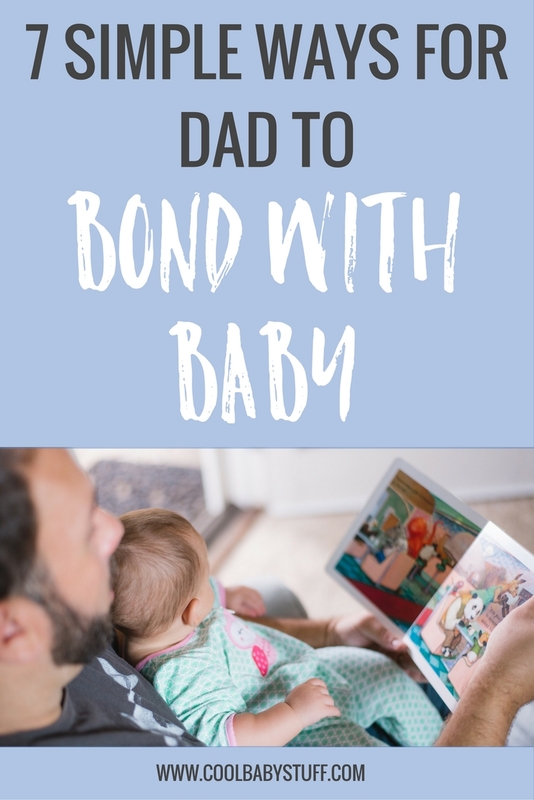 Here are a few ways for dad to bond with baby and simply get to know them better. Wearing your baby in a carrier is not just for moms! When dad wears baby close to him, baby becomes more familiar with his scent, his voice, and his touch, and therefore, becomes more comfortable and more connected to him. It’s such an easy way for dad to bond with baby! Close cuddling signals our bodies to produce oxytocin, which “plays an important role in the formation of attachment bonds” (Onyababy). Even if mom is breastfeeding, dad can still have a special role in feeding the baby. Let him have the opportunity to give baby her first bottle. In fact, baby might do better taking the bottle from dad without the distraction of wanting to nurse when held by mom. Dad can also help with solid foods. The act of nurturing baby by providing this basic need, and all the mess and excitement that comes with it, will bind the two together and create sweet memories for both parents. Often women wake up with the baby more than men, even when both have full-time careers. If dad wakes up with the baby, it not only gives mom a break but also provides some very unique bonding time. Our closest relationships tend to be the ones that we’ve had to fight for, and that includes helping baby in the middle of the night when you’re fighting to stay awake! Speaking of nighttime, another way for dad and baby to have some special time is for dad to take part in the bedtime routine. That can include giving baby a bath, reading a book, or being the one to sing a lullaby and put baby to bed. These tender, quiet moments create a bond that lays the foundation for a close relationship for years to come. Here are 12 bedtime books your baby will love! 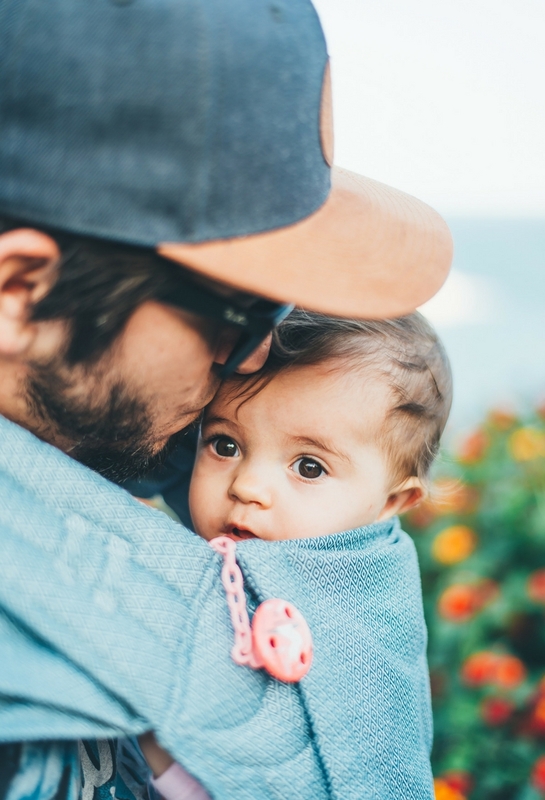 Even if it’s just up and down the street, being in nature together as baby experiences and discovers the sights and sounds is a fun activity for dad and baby to share. Point out the trees and the birds to baby, and talk to him about what he sees. Simply enjoying being in each other’s company builds and strengthens the connection. Babies love looking at the colorful illustrations in picture books, and reading out loud to them is hugely beneficial. Reading teaches baby about communication, helps them become familiar with numbers and letters, and encourages listening and vocabulary skills (KidHealth). This is also a great outlet for dad to show his silly side as he disguises his voice to get into character! Music is a great sensory experience for babies. They become hypnotized watching someone strum the strings on a guitar, and enjoy the soothing sounds of voices singing. They also love seeing the cause and effect from banging on a drum or shaking a tambourine. Especially if dad is a music lover, this is a fun and sweet activity for the two to share together. The most influential factor in bonding with your baby is simply sharing time together. Have patience and know that your love will only grow stronger and deeper as time goes on.